The world is in turmoil as we approach Thanksgiving week. I have been unable to leave CNN for long--unless I switch to MSNBC. I check the news. I want these horrible issues resolved. But the problems are complex--too complicated for an easy fix. Lives have been lost and people are afraid. For me, I am trying to reflect on how fortunate we are to live in a country where even silly politicians can say ridiculous things and they have every right to say them. I also have the right to disagree. The "Free World" means something very frightening to those who have lashed out with violence and hate over and over. Freedom is threatening to them and yet for me, it the best part of living in this country. I am also fortunate to have finished writing my 13th novel. I am lucky to have a loving family that includes even my amazing fur friends. I am happy to live where I do, with nature all around me. I choose not to focus on the negative but will always be grateful I still have a brain capable of absorbing and learning. Opinions are not facts. Hate is all consuming. No God is better than any other or worse than any other. God is a way of making sense of what can never really be known. For some,that is too scary to bear, so they lash out and leave destruction and blood in their wake. In this time where families come together, tolerance, understanding and knowledge can happen. Conversation can be enlightening. Words matter. 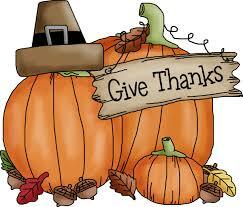 Use your words this Thanksgiving and be grateful that you can without fear of reprisal. That's what it means to be free.